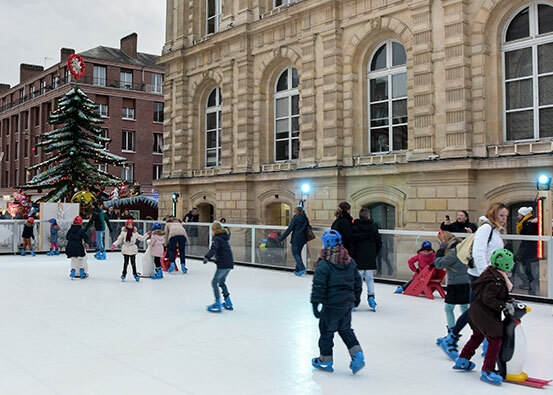 Another one of the most popular choices is renting ice rinks for events to give them a distinct and unique touch. Companies like Audi, MAC Cosmetics, Pandora and Nestea have already used Xtraice synthetic ice rinks to promote their brands with unique and unforgettable events. The major brands always opt for campaigns that bring added value to their branding in addition to differentiation-based strategies. Their events are meticulously organized to create unforgettable moments for the public and thus create a positive and innovative image for their brand. 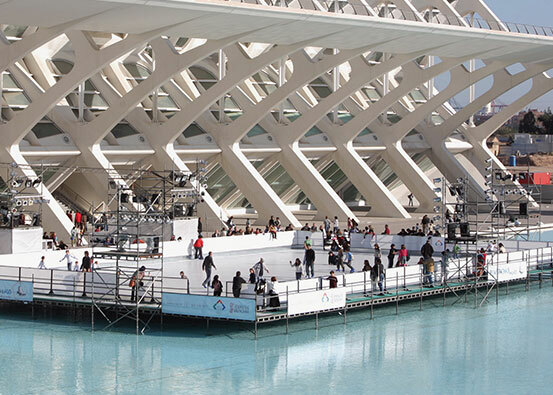 What better way to achieve this than with a synthetic ice rink? Many major brands have already entrusted us to organize their events. 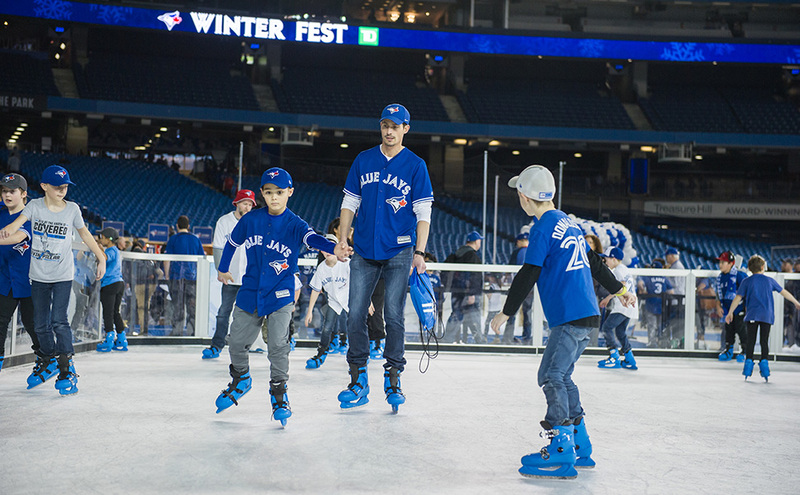 However, our skating rinks are much more than that. 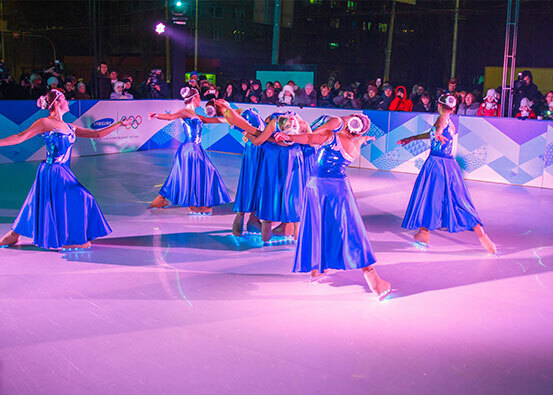 We can offer additions to the rink like lighting, sound and even interactive systems for the surface of the ice that allow you to increase visibility for your brand’s image, creating a unique and memorable experience in the eyes of all those present at the event. However, we don’t just collaborate on branding events, we cover all types of events. Musical and circus spectacles make up another important part of our regular events. For example, Cirque du Soleil is one of our most prestigious clients in this category and is currently on a world tour with a show on Xtraice synthetic ice. But we can still do so much more. 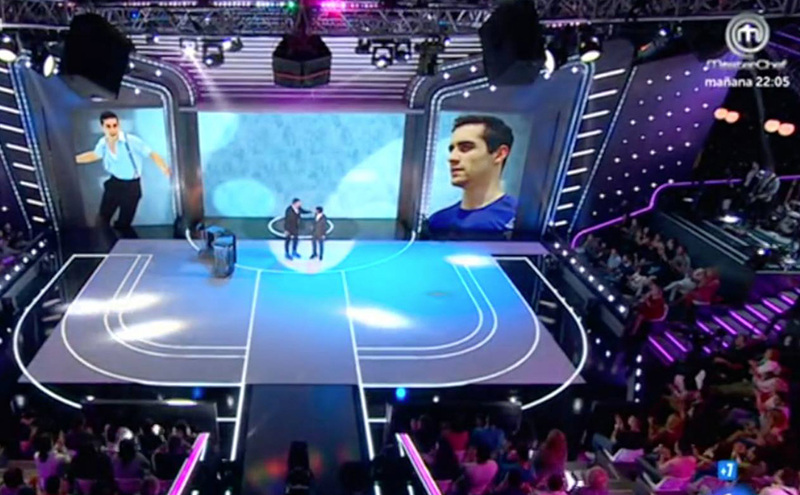 TV ads on an ice rink? Skating on Xtraice ice on a live TV program? These are other event projects we have also carried out in numerous countries, all of which were surrounded by media buzz. Are you also thinking about renting one of our rinks for your event? We will guide you through the whole process!